For the past few weeks, we've been posting information about fruity summer drinks. While there's nothing wrong with enjoying a sweet summer treat, there's just something about enjoying your year round go-to. That's why today, we're going to discuss whisky, Canadian whisky at that (because, yes, there is a difference between Canada's whisky and the rest of the world's). Canadian whisky left its mark on the United States' spirits market during Prohibition. This drink is what a great deal of underground bars and speakeasies had in stock and continue to have in stock in recent years as well. For those of you who don't know, there is a specific process in the creation of Canadian whisky that differs from the rest of the world's. While a majority of world distills the grains used to make whisky with a mash bill, Canada does not. What this means is, for those of us not fluent in industry terminology, is that the grains used in Canadian whisky are distilled separately and only combined at the very end of the process. This whole process, from the fermentation, distillation, and aging of all grains that will go into the whisky must be done in Canada for it to have the true classification of Canadian whisky. 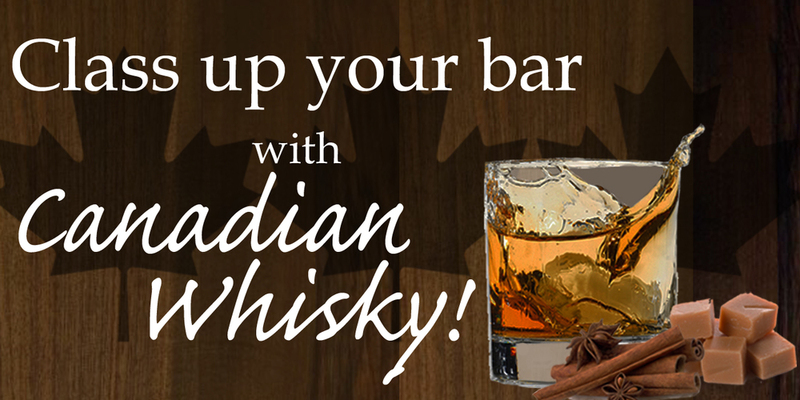 Typical characters/styles found in Canadian whisky are toffee, cinnamon, and toast. For those of you who are interested, try the very best of Canadian whisky, as determined by the results of the latest Canadian Whisky Tasting (in no specific order). For more information, call or visit us here at Garvey Wholesale Beverage. CLOSE OUT: You're gonna miss them when they're gone.